The 200 million won ($177,000) civil suit, which was described exclusively to the AP ahead of its expected filing Thursday by Crapser's lawyers in a Seoul court, exposes a dark side of South Korean adoptions, which exploded as a business during the 1970s and `80s when many children were carelessly and unnecessarily removed from their families. The country was then at the height of a so-called ``child export'' frenzy pushed by military dictatorships that focused on economic growth and reducing the number of mouths to feed. There was no stringent oversight of adoption agencies, which were infamous for aggressive child-gathering activities and fraudulent paperwork as they competed to send more children abroad at faster speeds. Kim Ho Hyun, Holt's president, said the agency followed the laws and procedures of the time and that it was mainly the responsibility of U.S. parents and institutions to ensure that adoptees obtained citizenship. 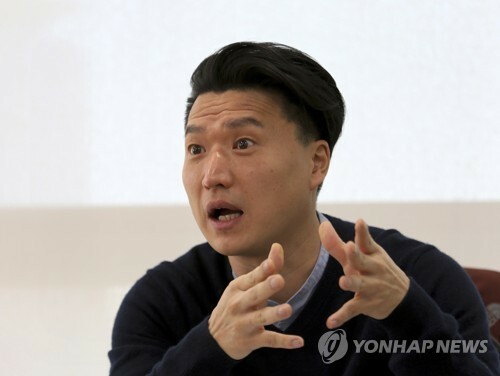 Seong Chang-hyeon, an official from South Korea's Ministry of Health and Welfare, said the government is trying to improve welfare services for deported adoptees while also consulting with Washington over possible US legal changes that could prevent adoptee deportations. Reached on the telephone, Crapser's birthmother, Kwon Pil-ju, sobbed and said she felt like she had "horribly sinned" against her son. She said she was single, disabled and desperately poor, and that she finally decided to give her children away because of fears that they'd starve. They also have problems communicating _ he can't speak Korean, she can't speak English, and they don't always have someone who could interpret. Crapser said he "definitely didn't win the lottery" when it came to his American parents. He and a sister were sent to what he says was an abusive couple in Michigan in 1979. Seven years later, the couple abandoned Crapser, then 10, and his sister, and he ended up with Thomas and Dolly Crapser, who he said would sometimes slam the children in the home's heads against walls, strike them with kitchen utensils and burn them with heated objects. Repeated calls to the Crapser home went unanswered.